Black swivel holster. 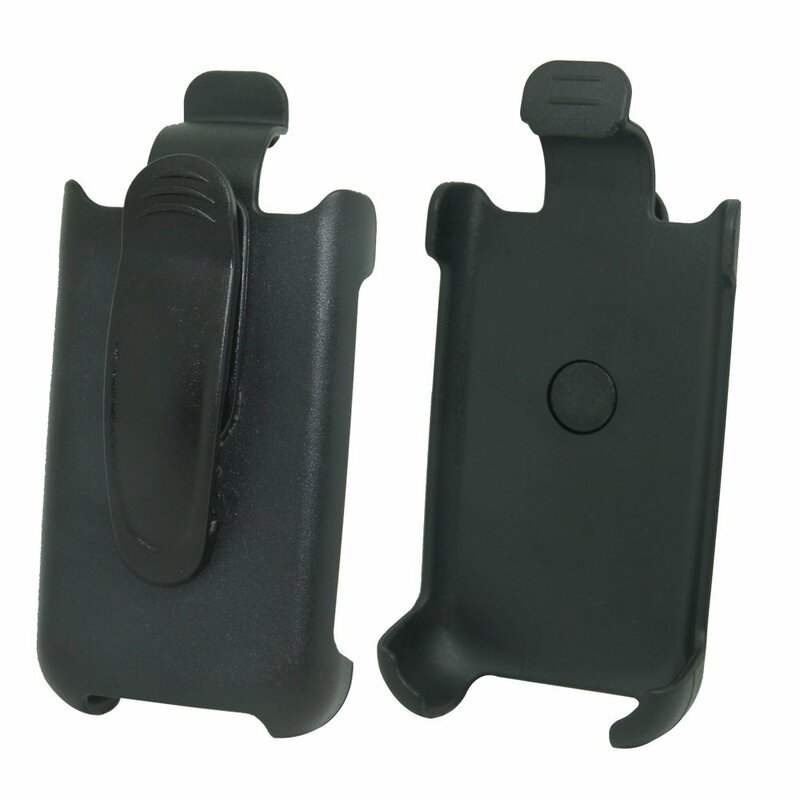 This holster firmly fits your device and protects itfrom falling out while giving you quick access from connecting to a belt. Thisseries is an all plastic series that features a reinforced plastic support foropening and closing rather than a metal pin and spring that many times willbreak easier. Additionally features a 180 degree rotating clip on thisholster.